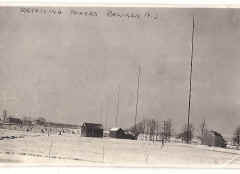 Please send e-mail with corrections, info, more photos, etc. 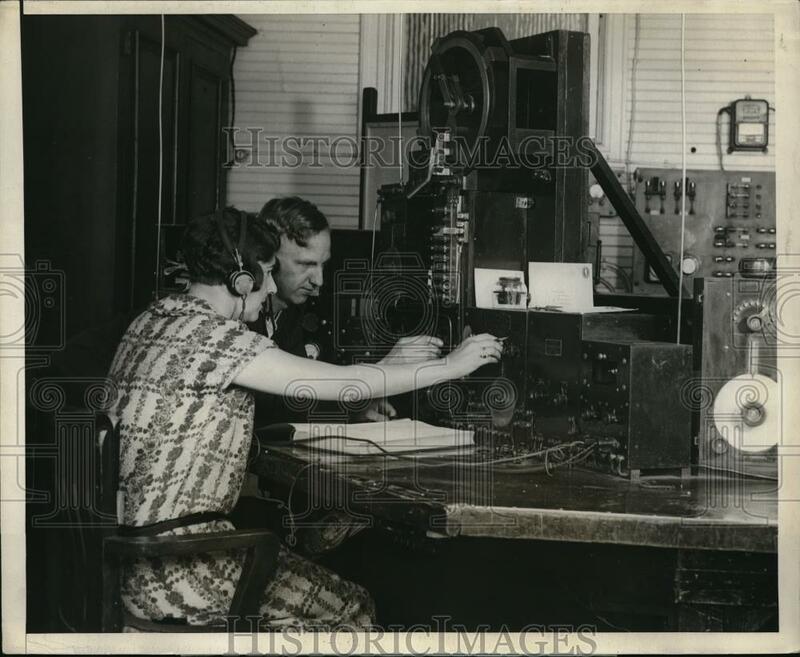 1922 - USN Manual "Instructions for the Operation, Care, and Repair of Radio Plants"
1919 - Transatlantic Wireless Room - "Reading the radio tape upon which messages are received in code by means of perforation." 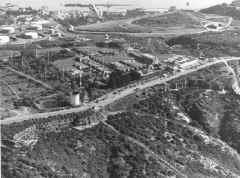 Space & Naval Warfare Systems Center, San Diego - "The history of electronic technology began on Pt. 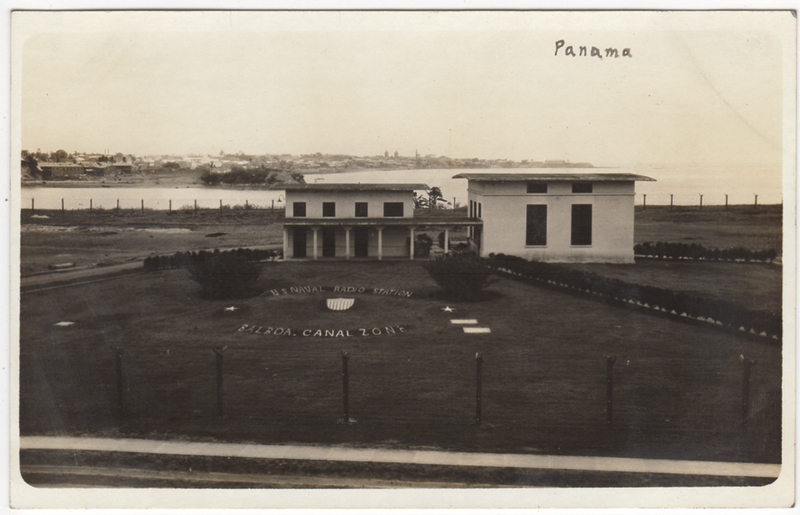 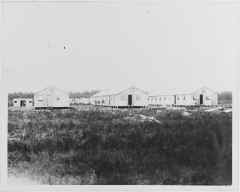 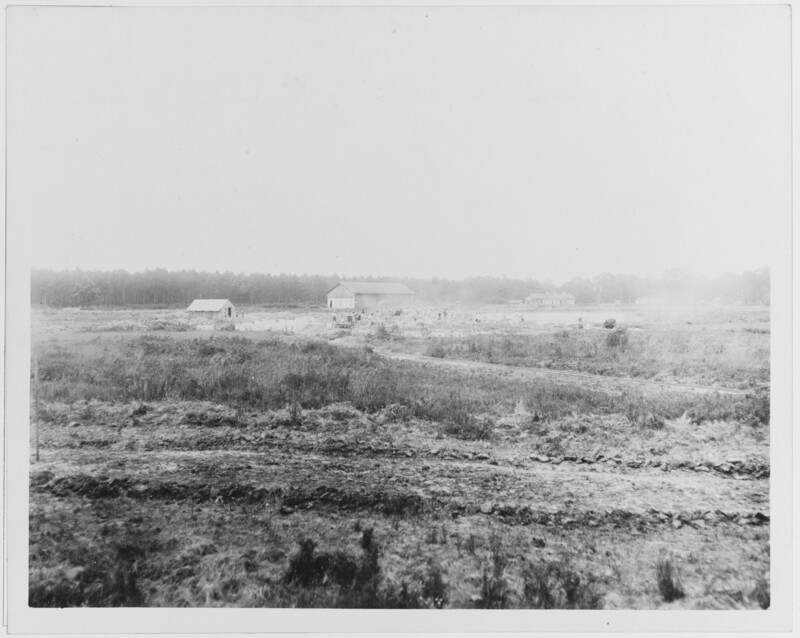 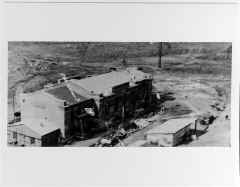 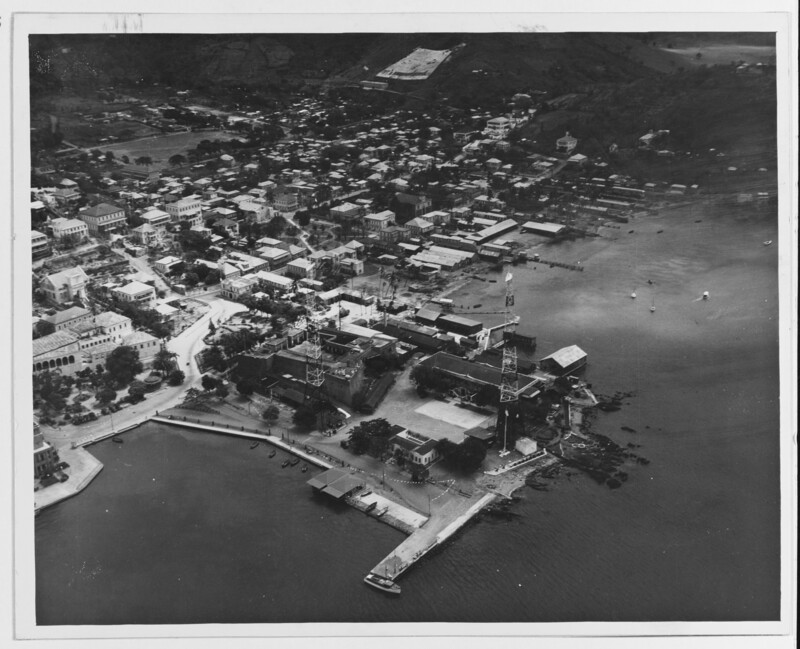 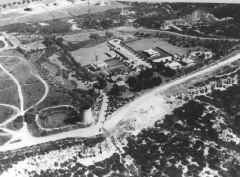 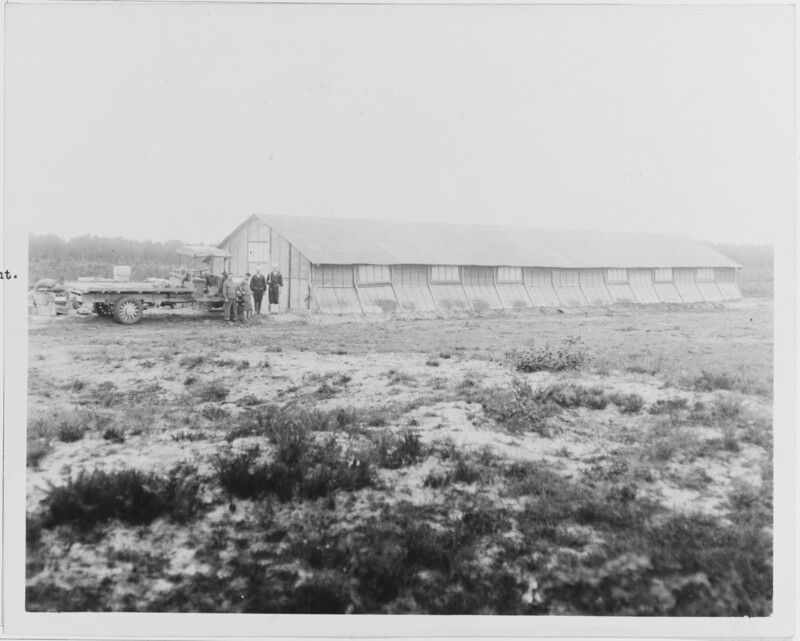 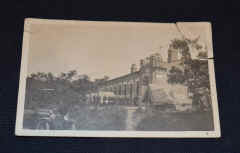 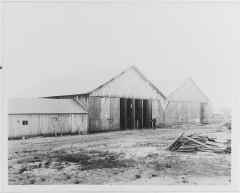 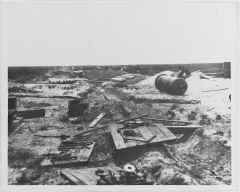 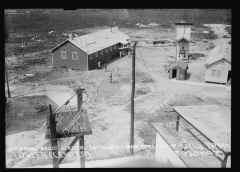 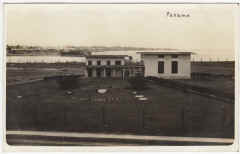 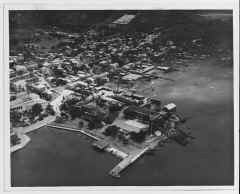 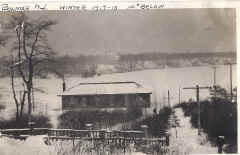 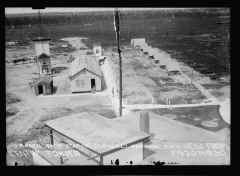 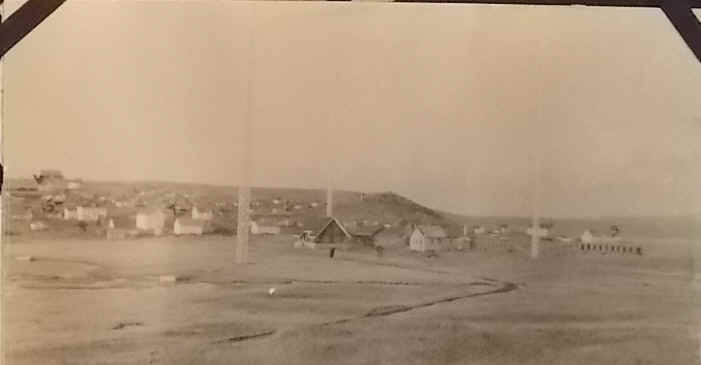 Loma a long time before the establishment of the laboratory here in 1940. On May 12, 1906, a chief petty officer and two sailors drove a horse-drawn wagon to the downtown pier and loaded up a Massie 5-kw. 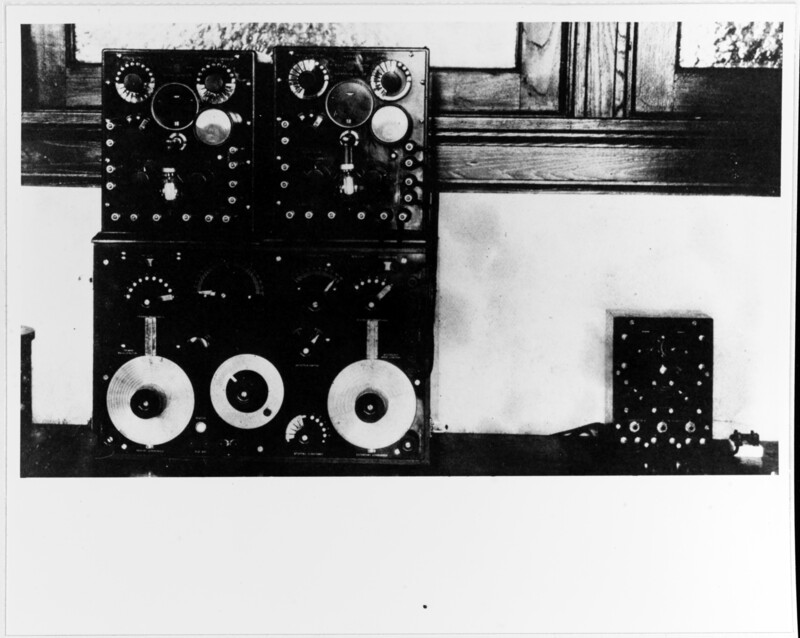 transmitter/receiver, the state-of-the-art in communications. 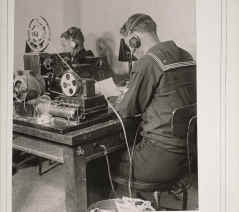 This was the new age of "wireless radiotelegraphy," which the Navy would eventually shorten simply to "radio." 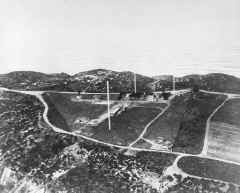 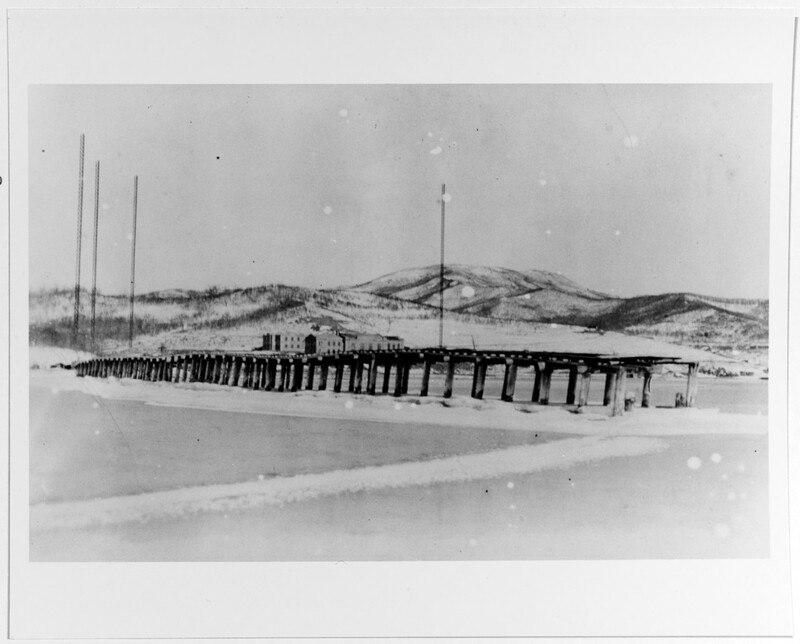 Many hours later, in the little station house they’d set up on top of the hill, in a spot now occupied by our technical library, just off a rutted dirt road that would someday become Catalina Boulevard and Cabrillo Memorial Drive, the equipment had been installed. 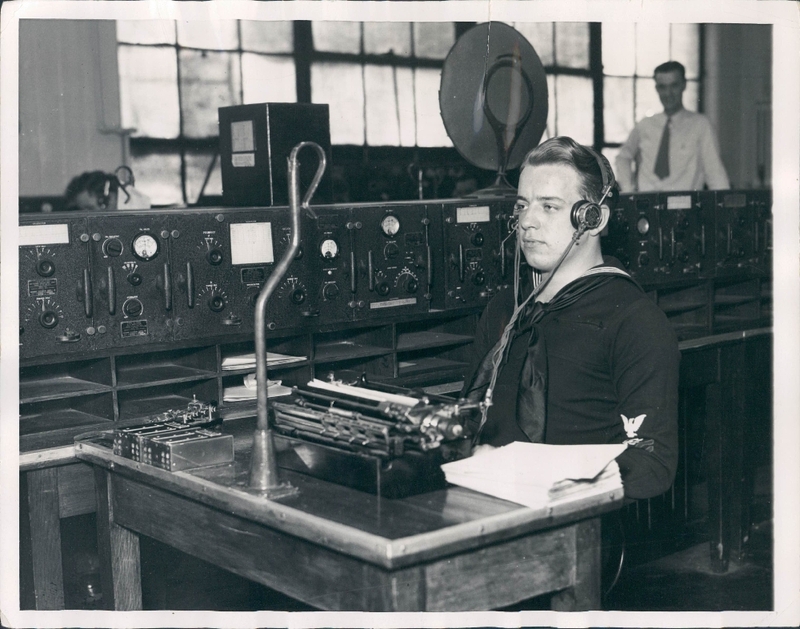 The chief sat down and tapped out a hopeful message to the Mare Island Naval Radio Station. 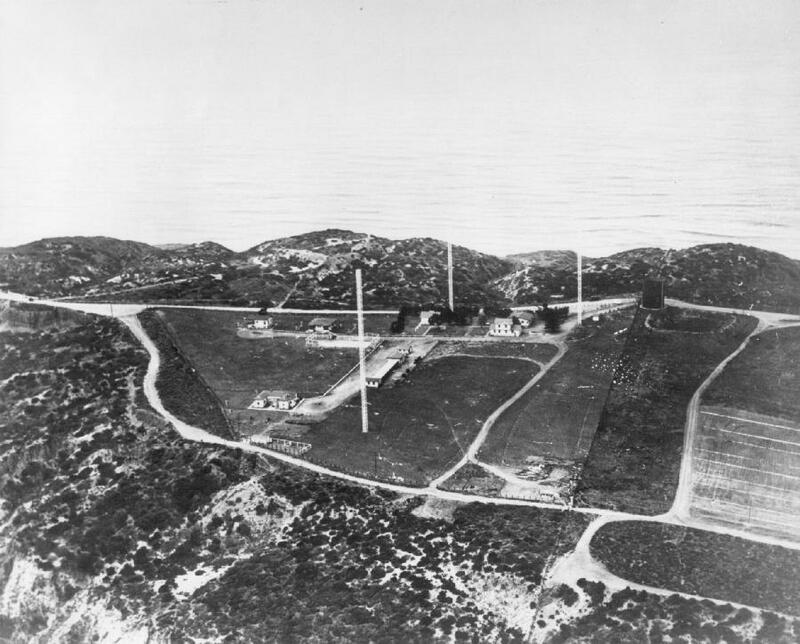 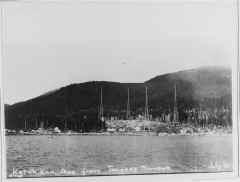 He was hopeful, because the distance record for Navy wireless communication at the time was about 125 miles, and Mare Island was 500 miles away. 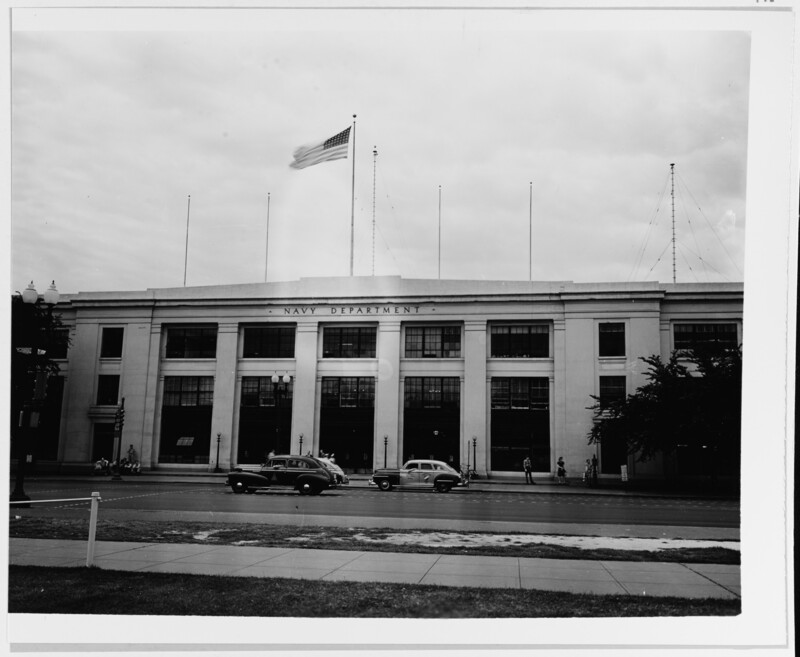 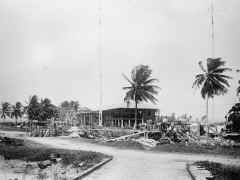 He was stunned by an immediate reply, and in celebration commissioned the facility as Navy Radio Station Pt. 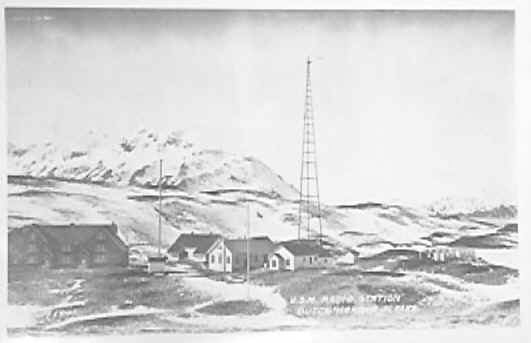 Loma." 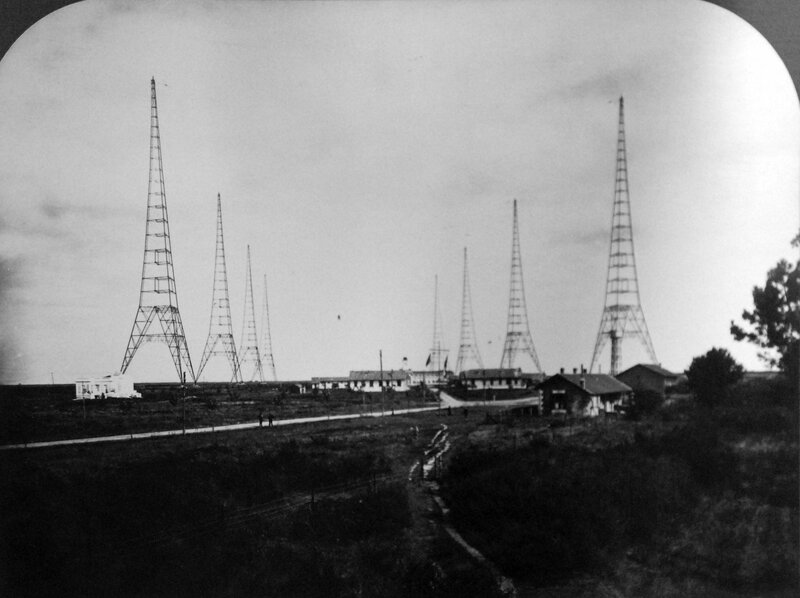 Located on Russian Island, Siberia (Vladivostok). 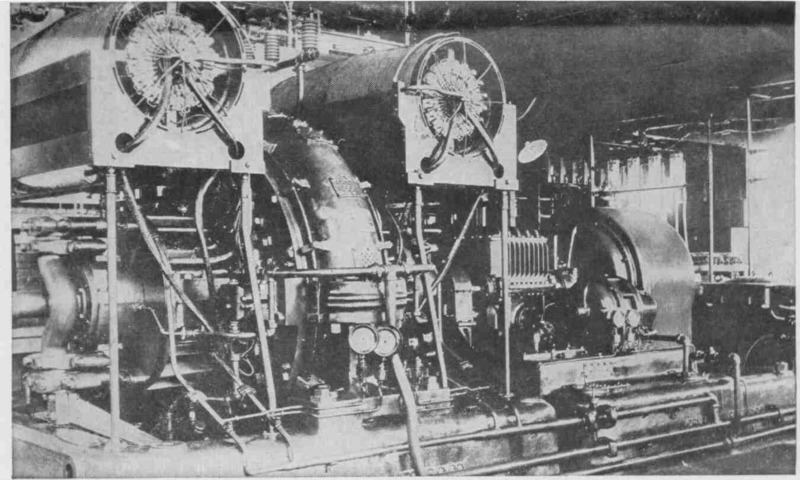 Equipped with a 60 kw arc set, and a 12 kw arc set. 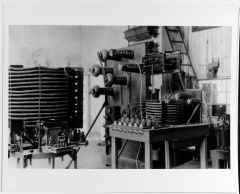 At the present time no permanent wave lengths have been assigned. 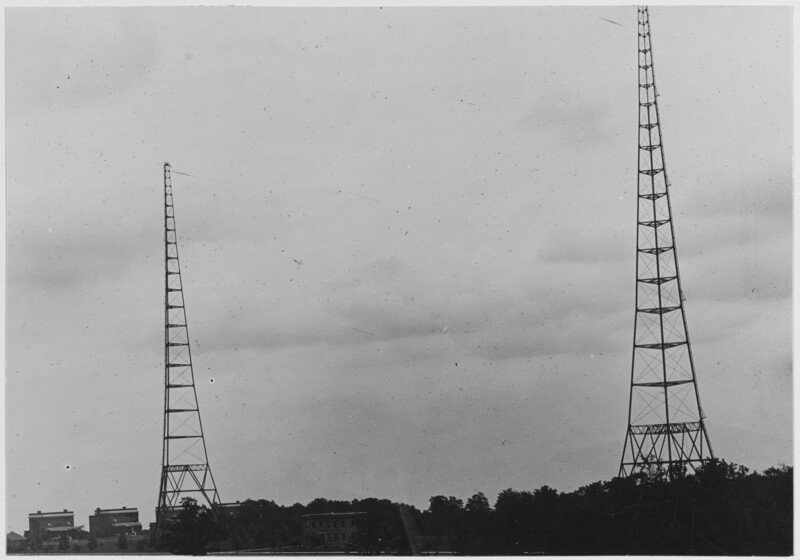 Radio Communication: Tests are being made to establish schedules for this station. 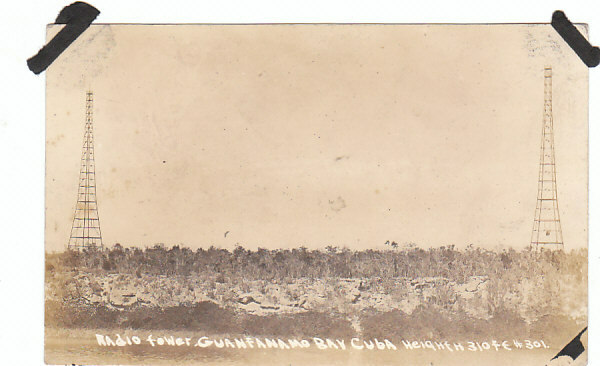 At the present time communication is effective with Peking, Cavite, Guam and with ships within range of the station. 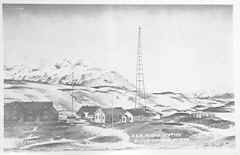 Can communicate with St. Paul and Cordova, Alaska. 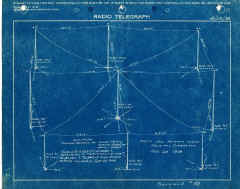 Signals are very weak from those stations, but it is expected to establish effective communications in the near future. 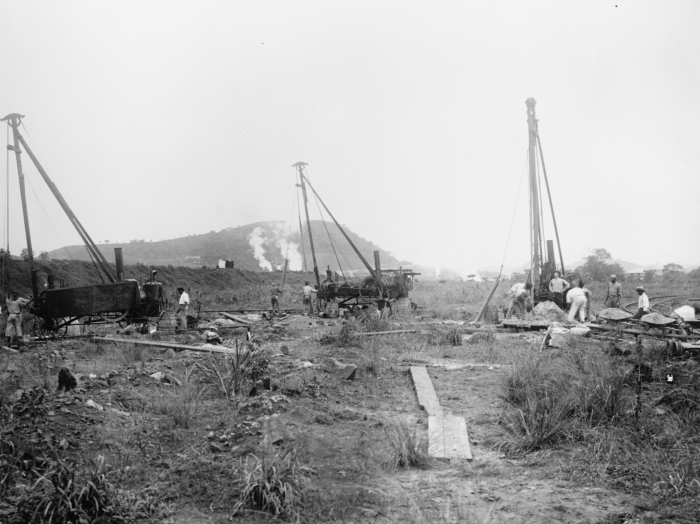 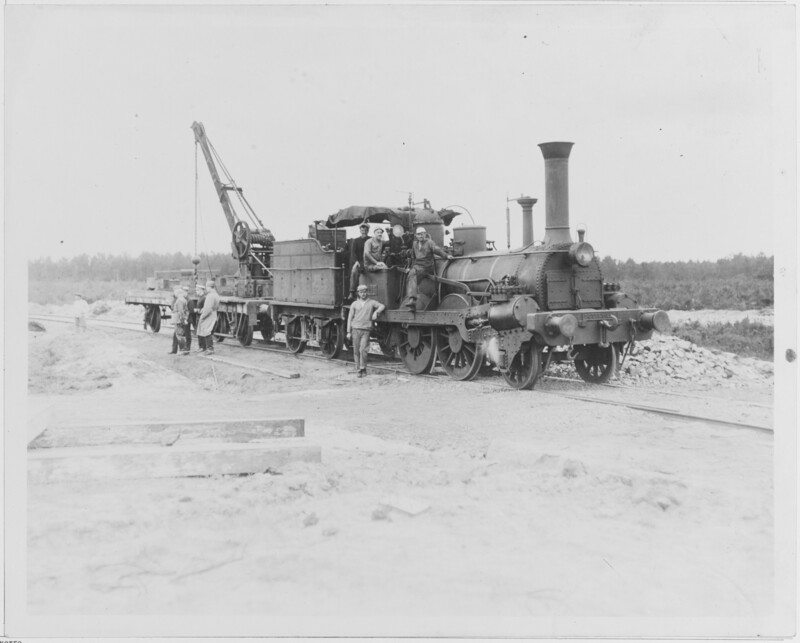 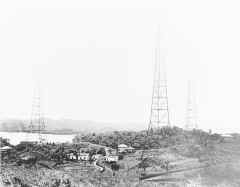 Recommendations have been made to lay a cable from the station to Vladivostok, a distance of about fifteen miles, for both telephone and telegraph service. 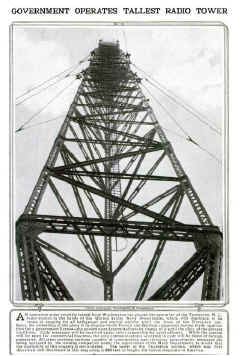 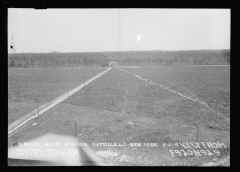 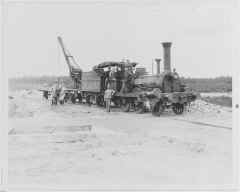 It is expected that this cable will be laid by winter (1919). 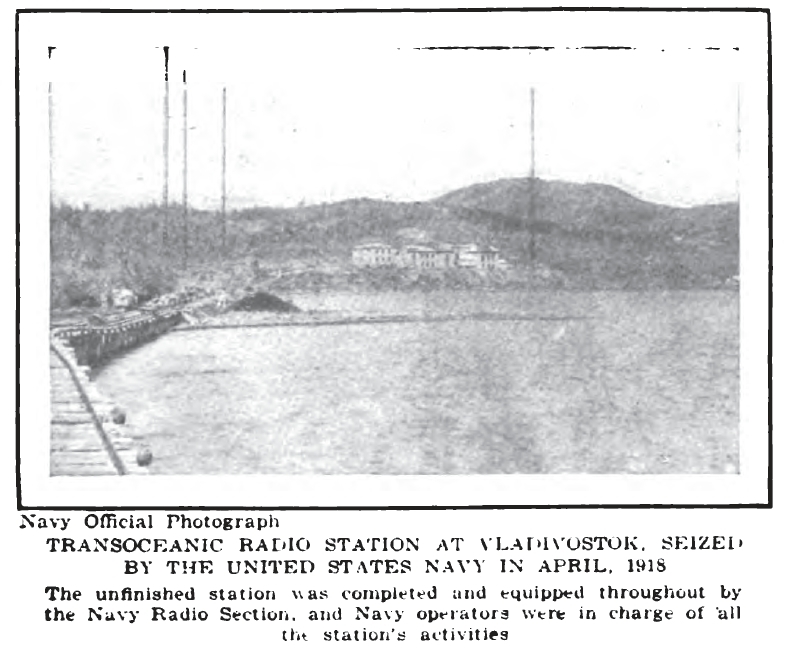 The Vladivostok end will be at the headquarters of the American Expeditionary Forces, with a loop to a U. S. ship in port. 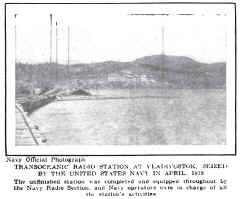 Telephone communications may be had at the Russian Island Red Cross Hospital, about one mile from the station, which connects to Vladivostok by cable. 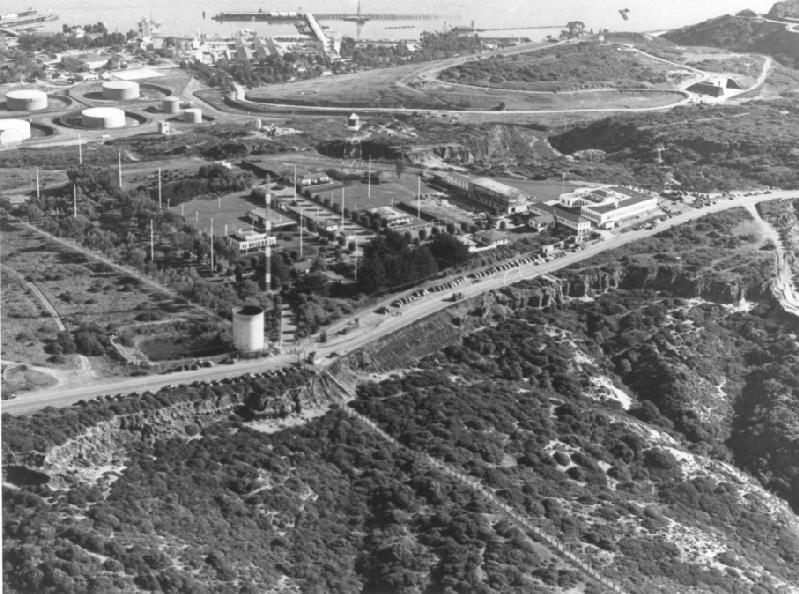 Comment: This station will probably handle commercial traffic as well as Government traffic. 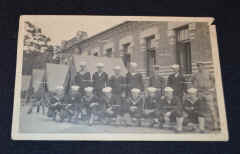 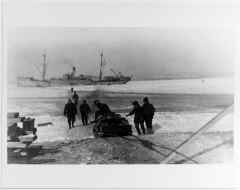 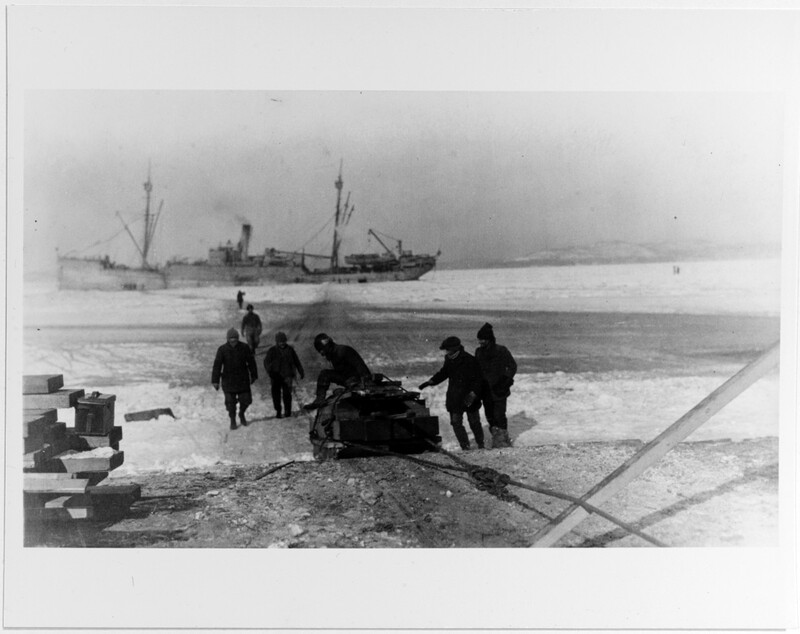 It is of military value in furnishing communication to and from the American Expeditionary Forces in Siberia, and for communicating with vessels of the Fleet in Chinese and Japanese waters. 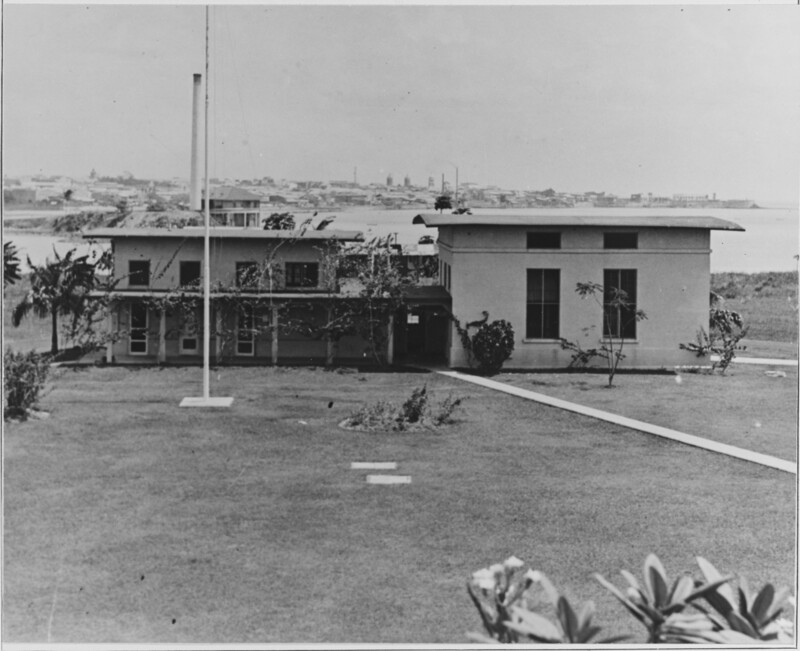 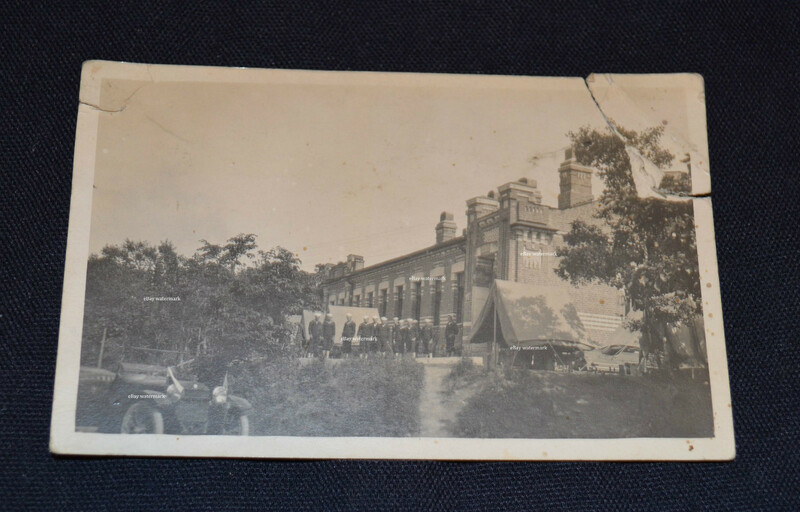 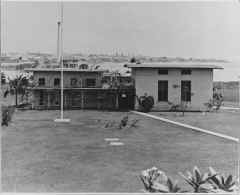 This station was taken over from the Russian Government, and was equipped with apparatus furnished by the Navy Yard, Mare Island, and equipment taken from the Heeia Point Station, Honolulu and was commissioned about 30 May 1919. 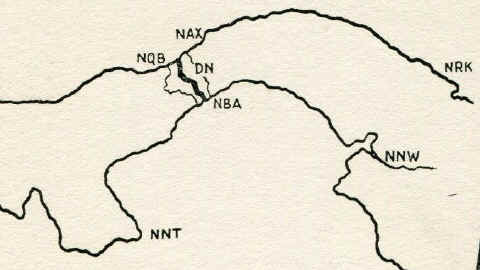 From 1919 presentation on the Naval Communication Service - To illustrate how a naval communication district acts, I should like to take as an example the Third Naval District, which extends from Rhode Island to Barnegat Inlet, and in which there are eight coastal radio stations which are located as follows: Montauk. 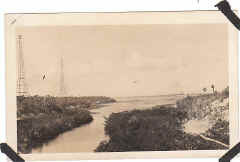 L. I.; Fire Island, L. I.; Rockaway Beach, L. I.; Sea Gate, N. Y.; Bush Terminal, N. Y.; Navy Yard, N. Y.; Mantoloking, N. J., and New London, Conn. 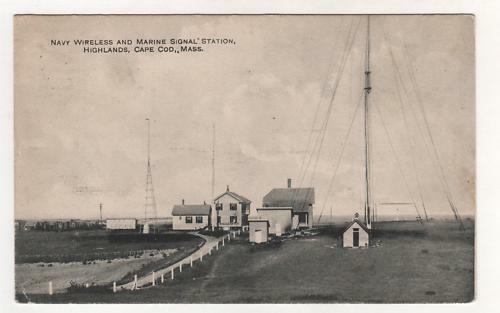 There are also five radio compass stations located as follows: Montauk Point, L. I.; Fire Island. 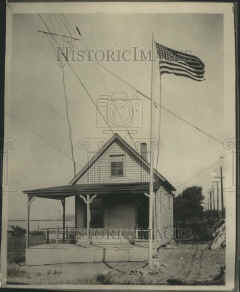 L. I.; Rockaway Beach. 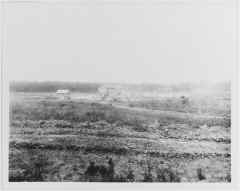 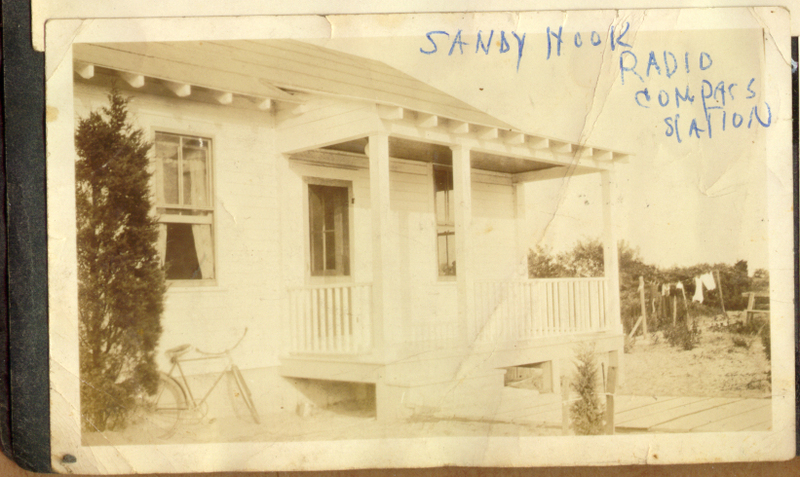 L. I.; Sandy Hook, N. J., and Mantoloking, N. J. 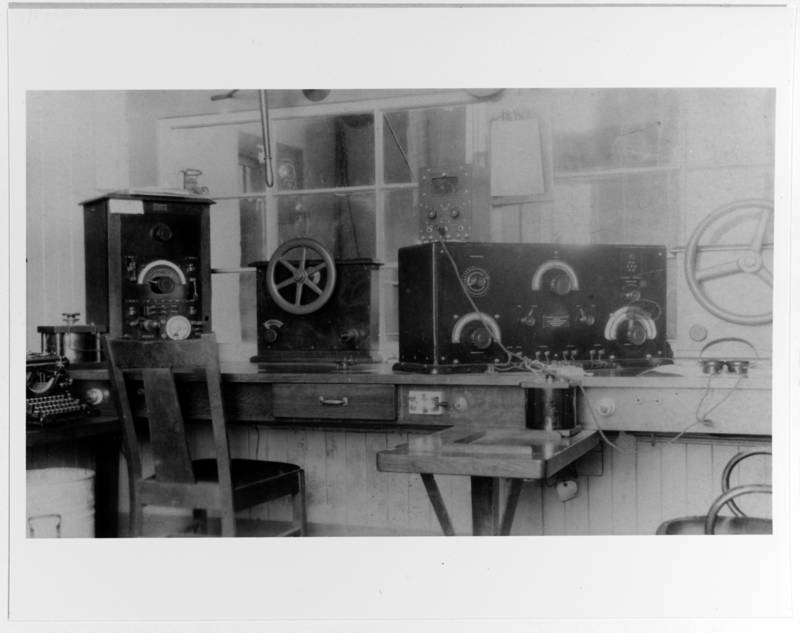 These radio and compass stations are all controlled from one Central Control Station, located at No. 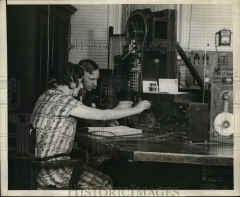 44 Whitehall Street, New York City, at which place are also the offices of the District Communication Superintendent. 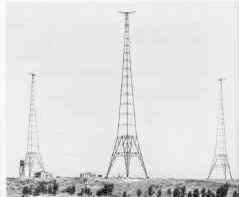 Direct wires from each of these stations lead into the Central Control Station, and by means of a plug-board arrangement similar in type to that used by the telephone companies, any one of these stations may be used as a transmitter by the operator on watch at the control station. 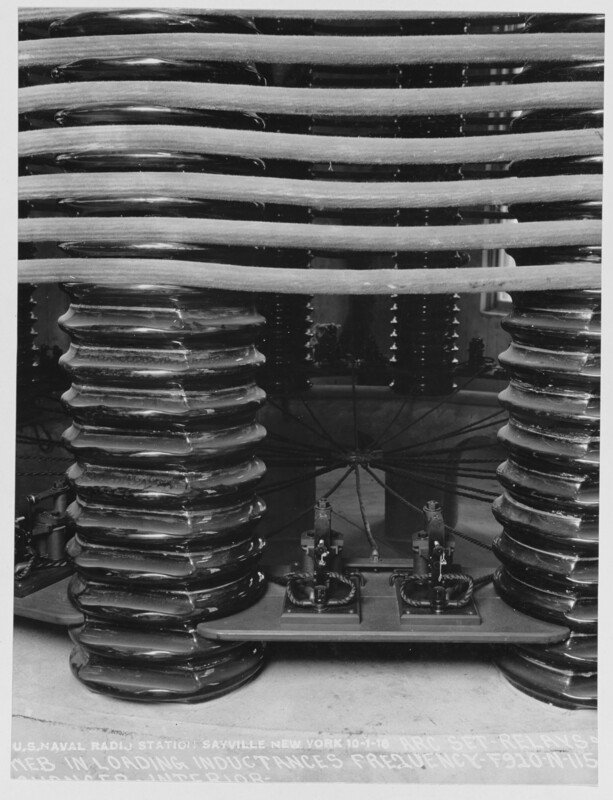 The control station is divided into a number of booths which are magnetically shielded from one another and which contain receiving apparatus of the most up-to-date type. 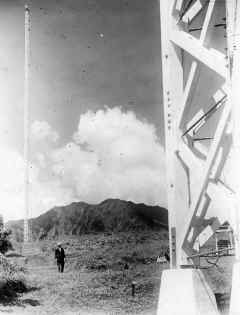 Each booth is given a wave-length which the operator on watch must guard. 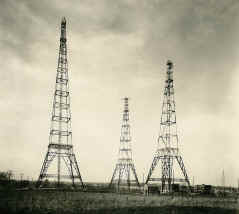 There is no transmitting apparatus at this control station, all transmitting being done by means of distant control through one of the other stations mentioned above. 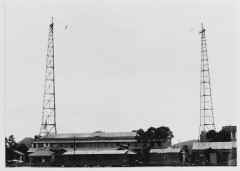 Therefore, if the operator on watch at 600 meters receives a call and desires to answer, he promptly plugs in on a wire to any station he may decide to use and transmits via that station. 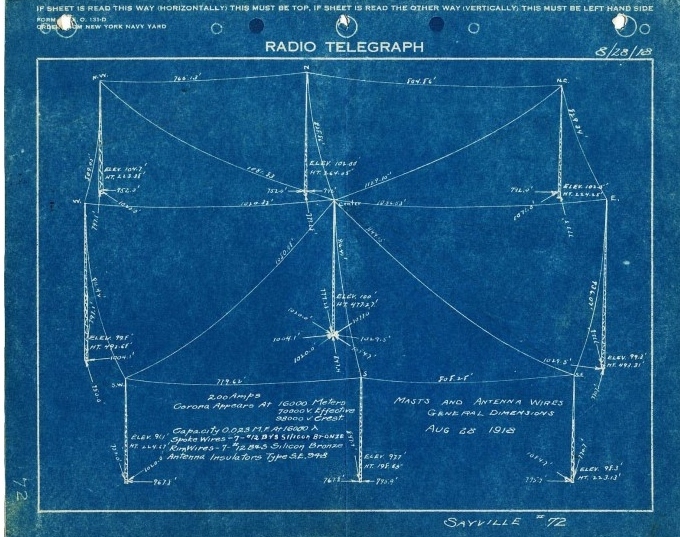 He is listening all the time to what he is sending and should he hear a distress signal, he could instantly stop and give his attention to the distress call. 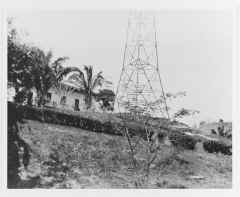 A chief electrician (radio) is on duty at this control station as supervisor of traffic. 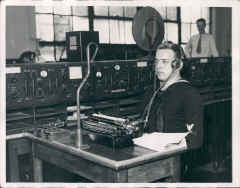 On his desk he has a receiver which enables him to listen in and keep check on the traffic being handled on the various wave-lengths, and, from time to time, gives orders to the various operators and stations so as to avoid interference. 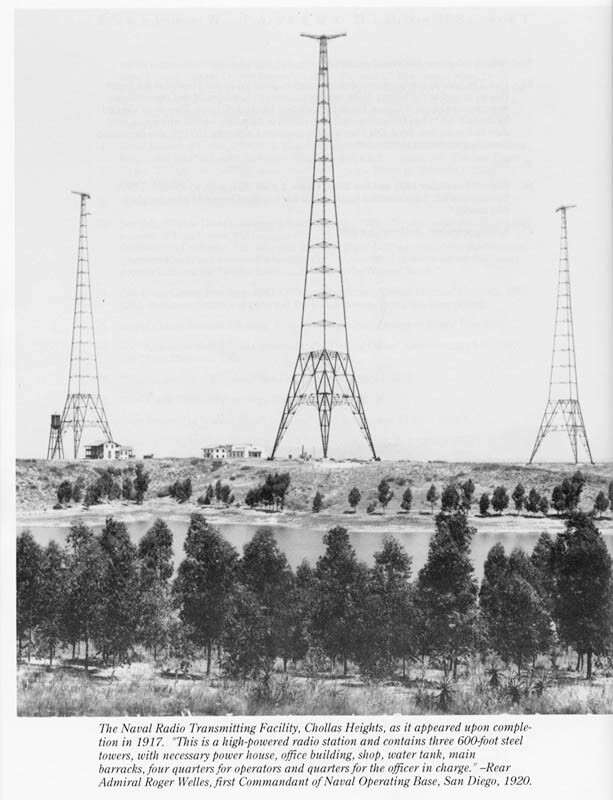 Such a system of supervision was found necessary in order to overcome some of the difficulties brought about by the large increase in radio traffic about the port of New York. The excellent manner in which this system functions locally about the port of New York is another illustration of the necessity of radio supervision by one central controlling agency. 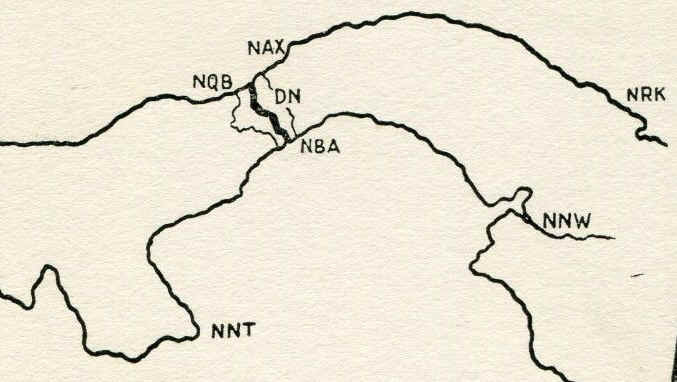 All the stations in the Third Naval District, however, are not at all times controlled from the Central Control Station. 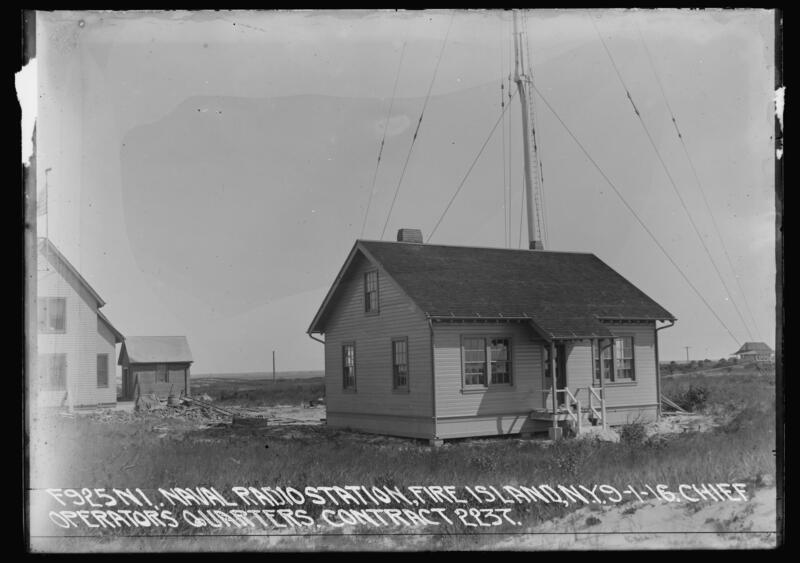 If traffic warrants it, some outlying station, such as Montauk or Fire Island, is given orders by the supervising electrician to handle traffic independently. At such times, the outlying stations are practically acting as agents for the control station. 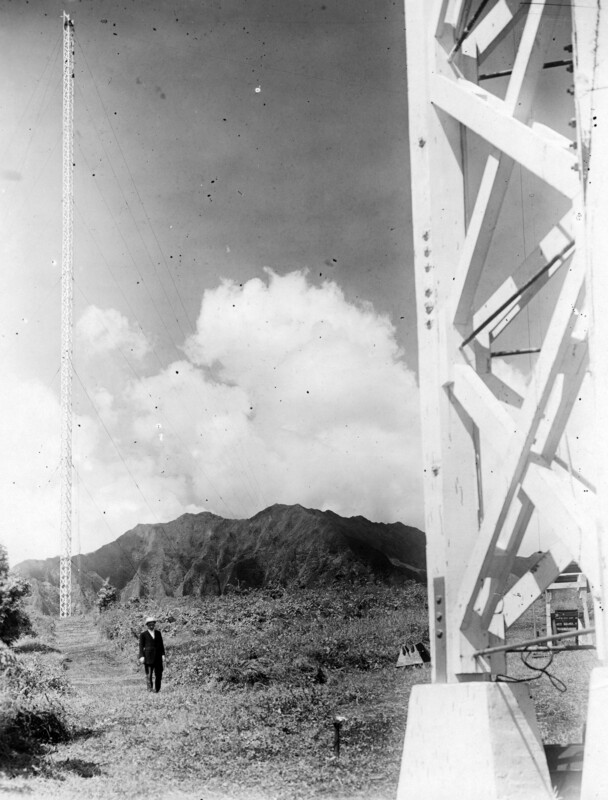 The radio compass stations are controlled in a manner similar to the radio transmitting stations in the Third Naval District. 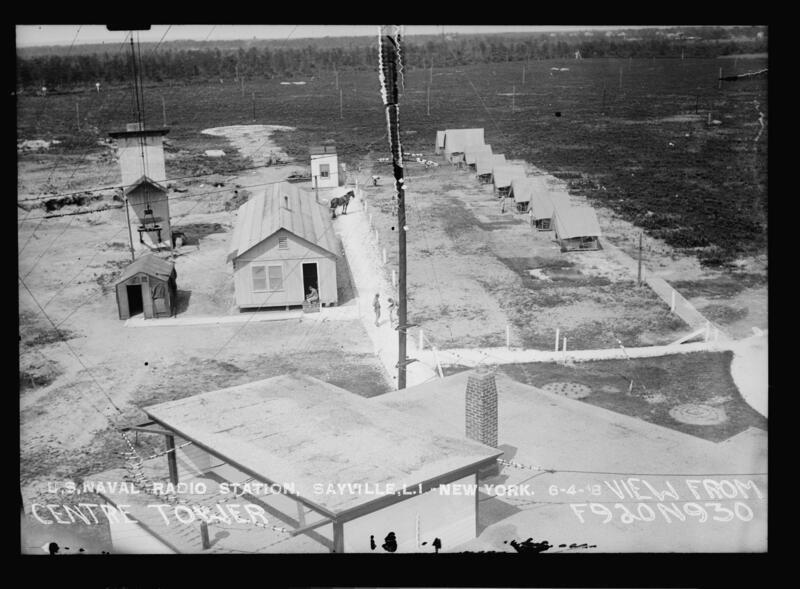 Each compass station in the district is connected with the Compass Control Station at No. 44 Whitehall Street, New York City (which is in the same room with the Radio Control Station) by means of direct wires. The compass stations are not equipped with transmitters, and, therefore. 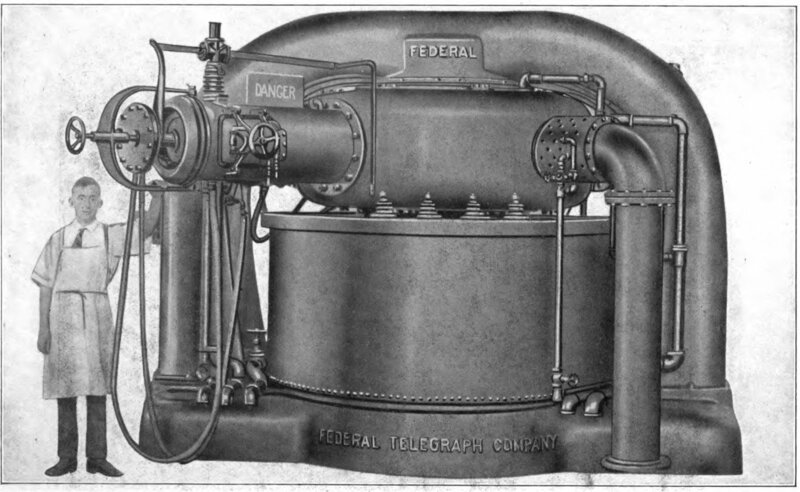 never work independently of the Control Station, but forward all their bearings to the supervising operator. 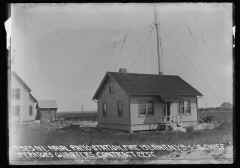 Info from Frank W3LPL - The Navy routed Sayville, Tuckerton and New Brunswick and transatlantic cable traffic via Belmar during the war. 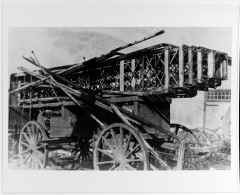 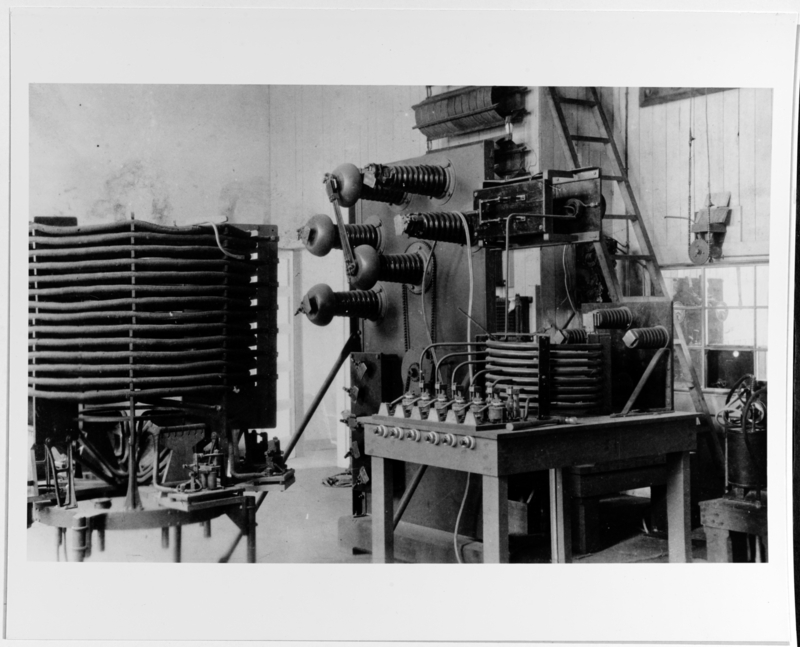 Transatlantic telegraph cables carried most transatlantic military communications throughout the war. 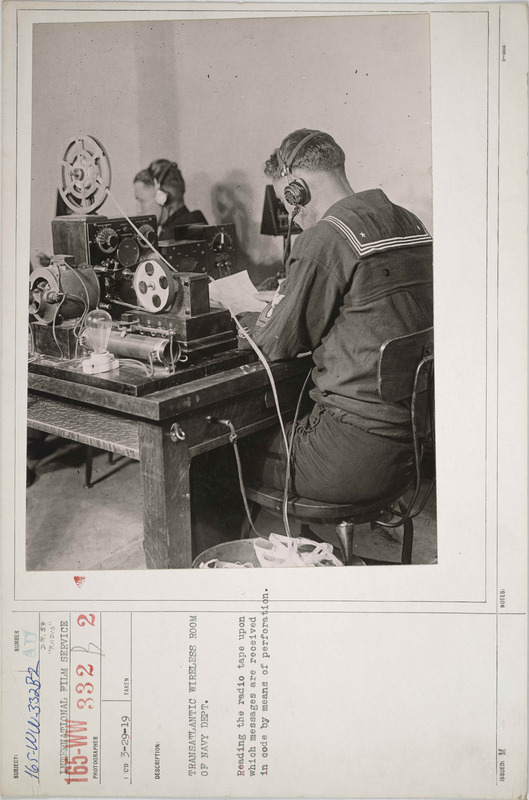 The Navy's biggest fear was that the Germans could cut the transatlantic cables at any time. 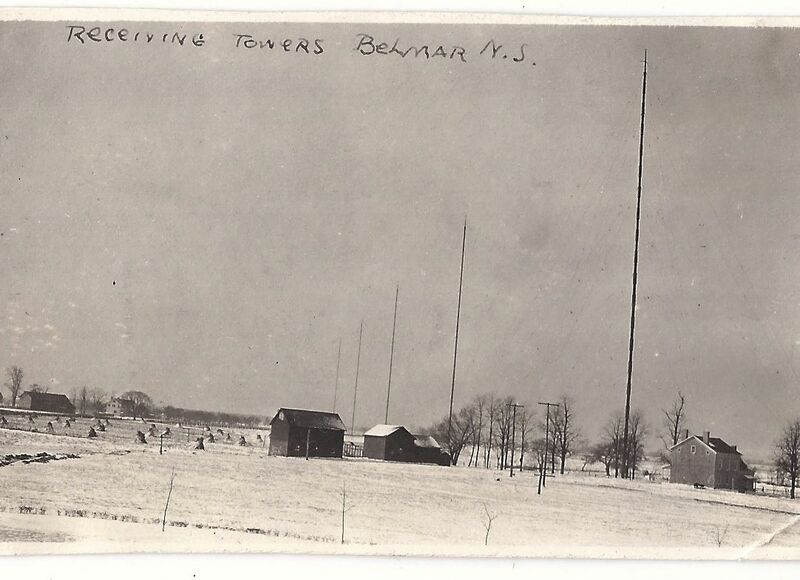 Belmar used the NFF call sign when it keyed its primary transmitter at New Brunswick. 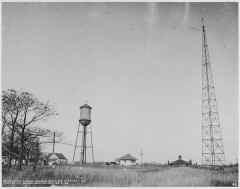 Belmar also keyed Sayville and Tuckerton primarily as backups for New Brunswick. 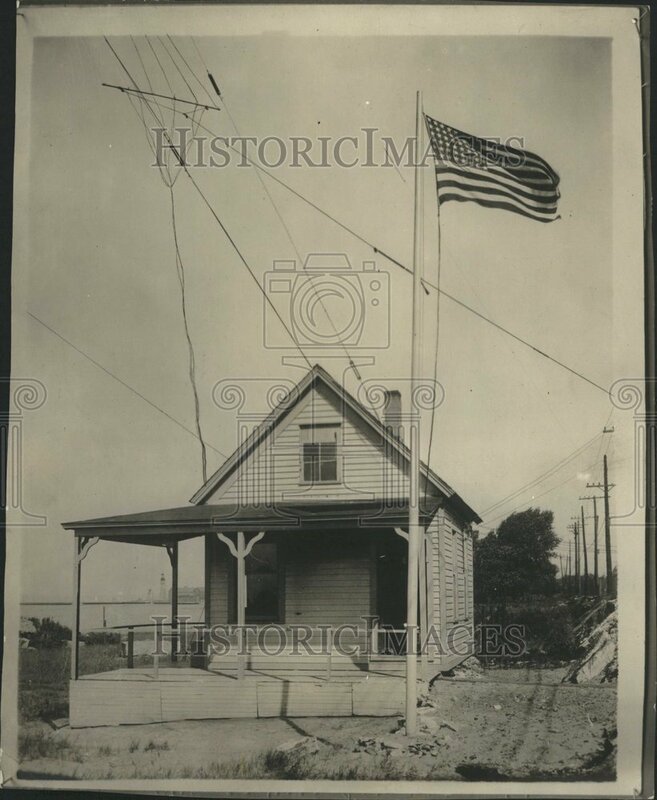 The U.S. Navy took over supervision of Tuckerton and Sayville to protect U.S. neutrality after the start of the war in Europe in 1914. 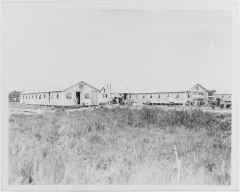 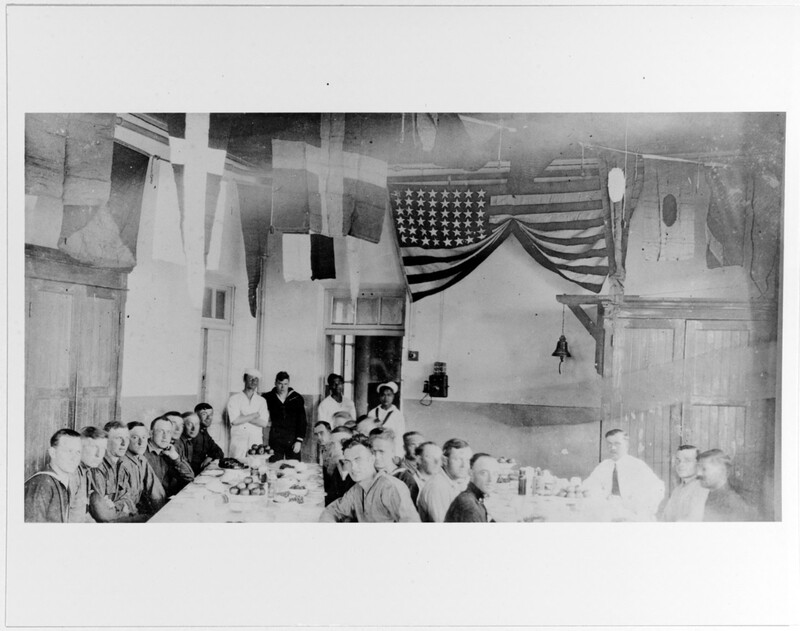 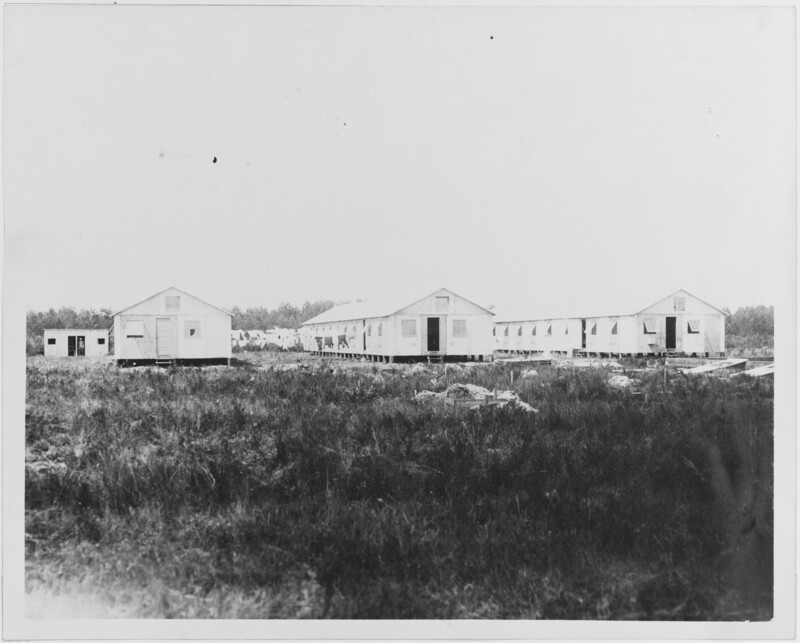 Both continued to be operated by German staff members under Navy supervision until April 7, 1917, when German staff members became prisoners of war. 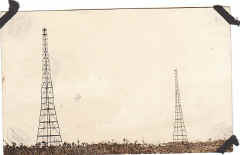 Sayville and Tuckerton were backups to New Brunswick during major station upgrades and planned and unplanned outages. 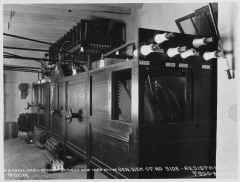 Fire was always a major threat at the high powered radio stations. 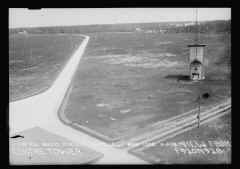 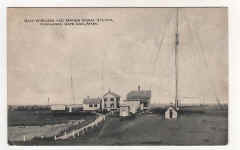 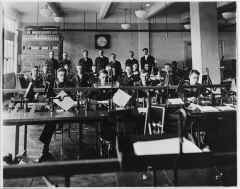 When the Navy took over New Brunswick it found a station with obsolete Marconi equipment that had never been used operationally because its partner stations in Wales were taken over by the British government at the onset of World War I in 1914, only brief tests had taken place before the war. 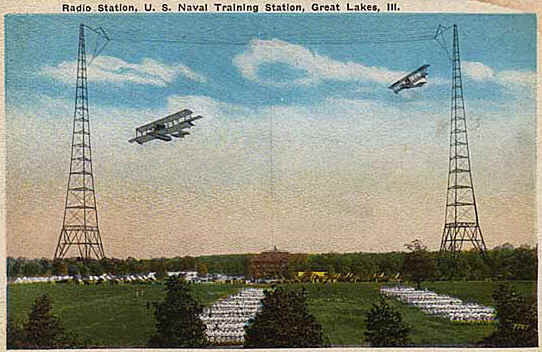 The Navy undertook a crash program to replace obsolete equipment at all three stations. 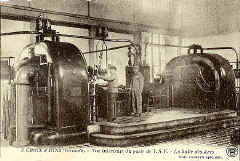 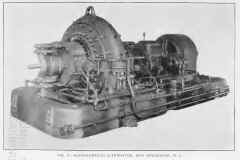 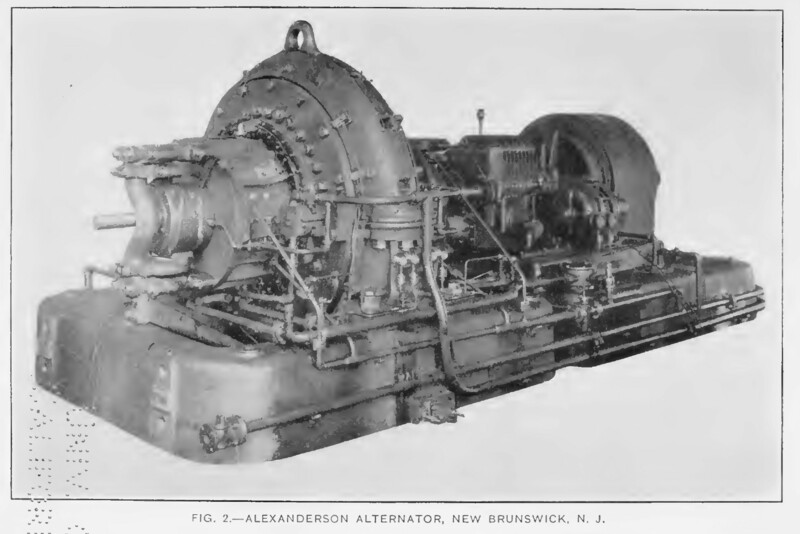 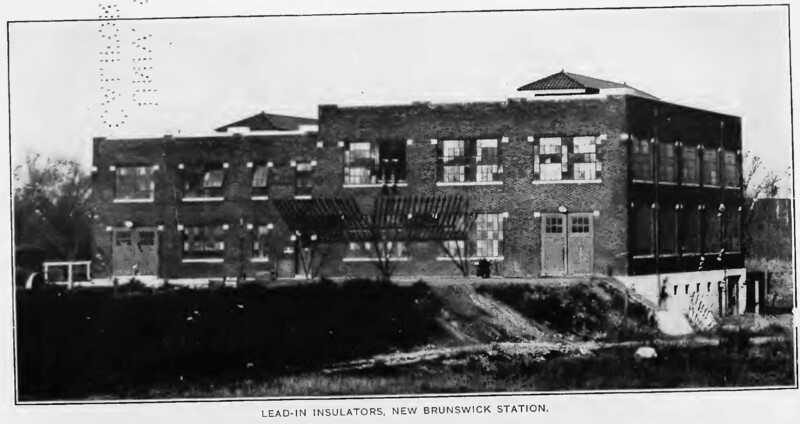 A 50 KW Alexanderson alternator was installed in New Brunswick in 1917 then a 200 KW Alexanderson alternator in 1918. 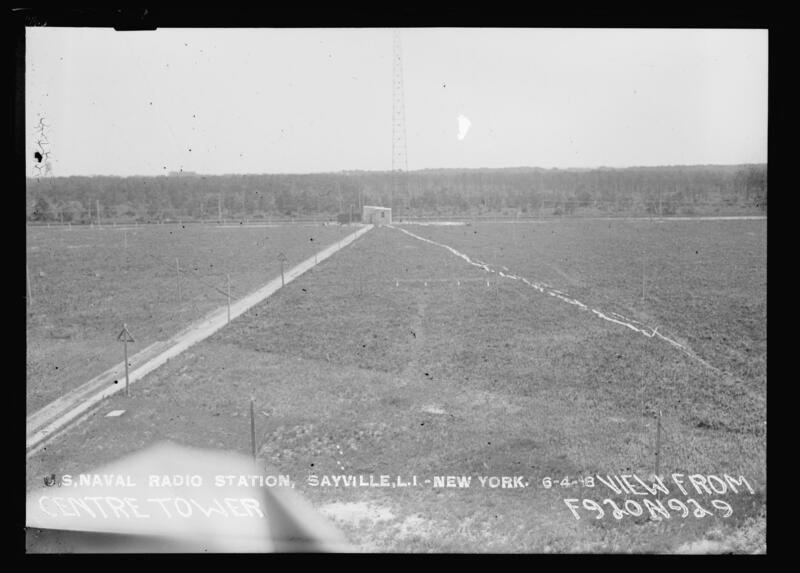 Sayville was upgraded with a 200 KW Federal Arc transmitter. 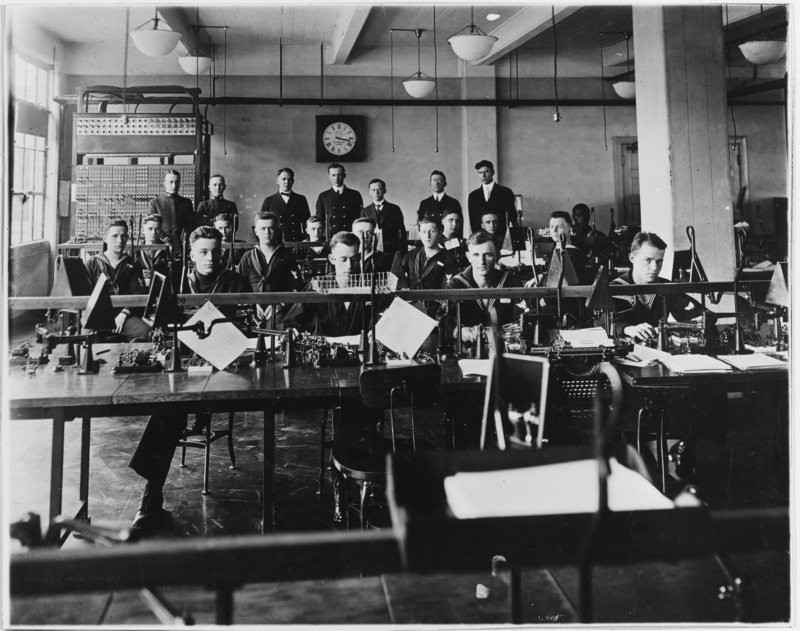 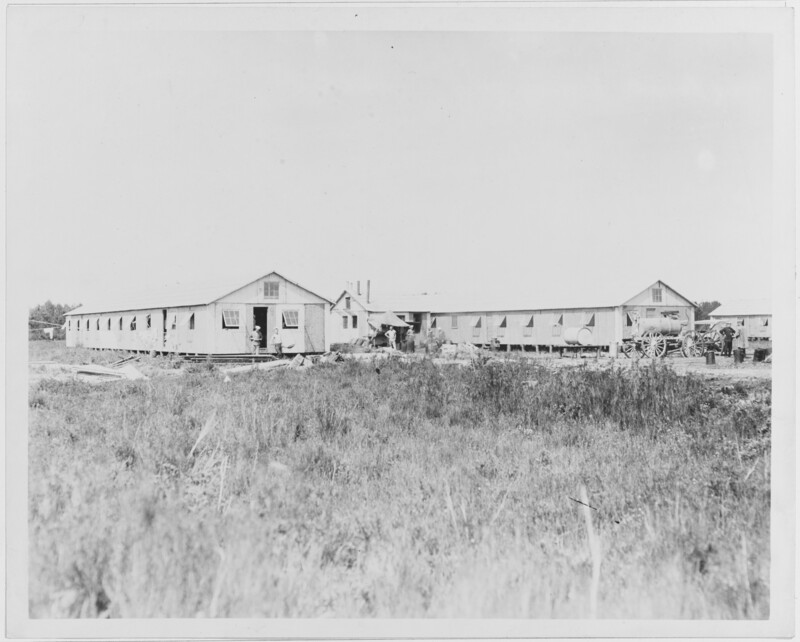 Info from NRL history - "In October 1917, Dr. A. Hoyt Taylor was directed by the Navy Department to assume responsibility for the establishment and operation of a transatlantic radio communication system with headquarters at Belmar, NJ. 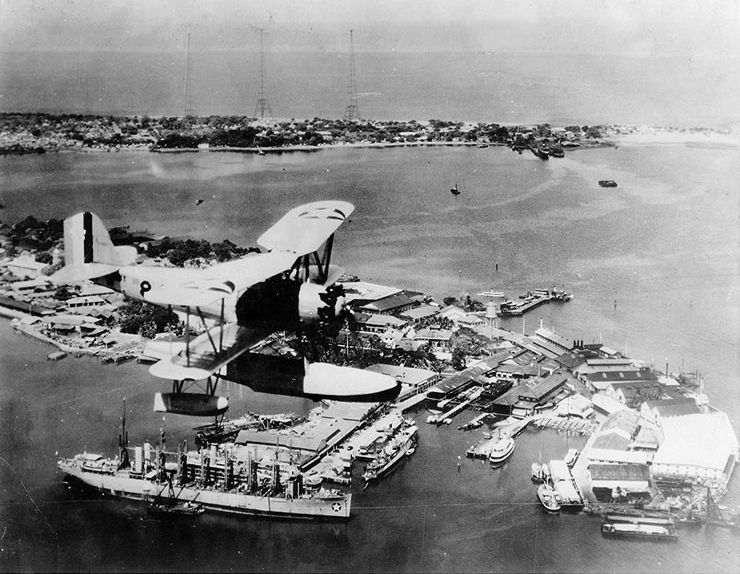 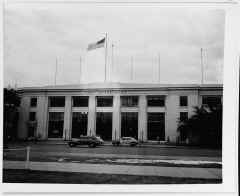 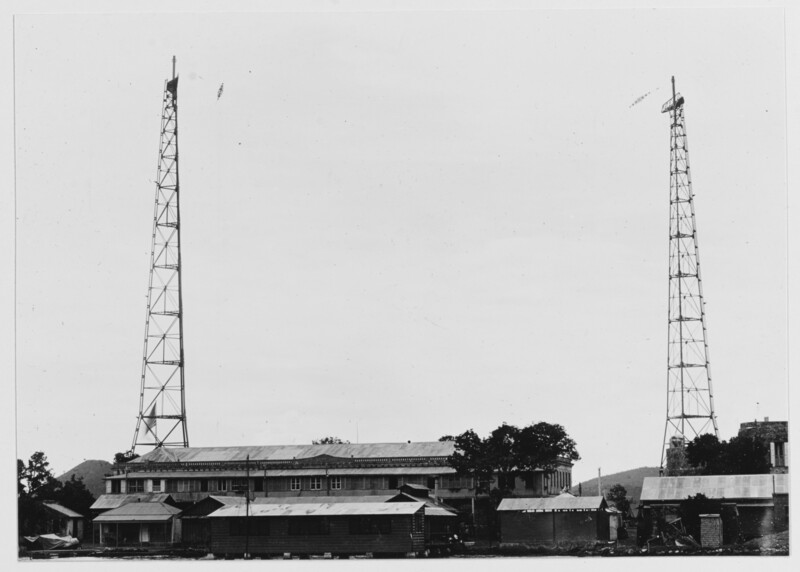 This system comprised facilities taken over by the Navy from commercial interests, principally the Marconi Wireless Company, under powers incident to war. 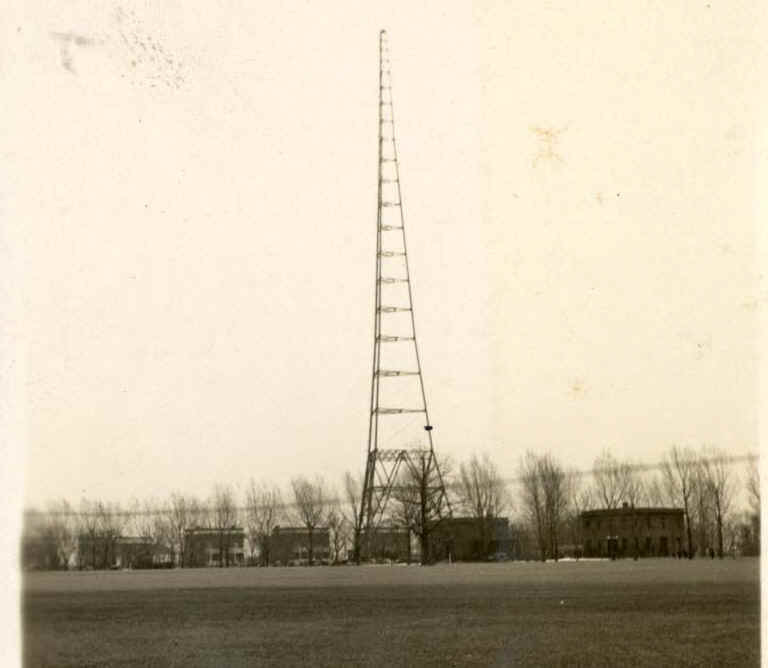 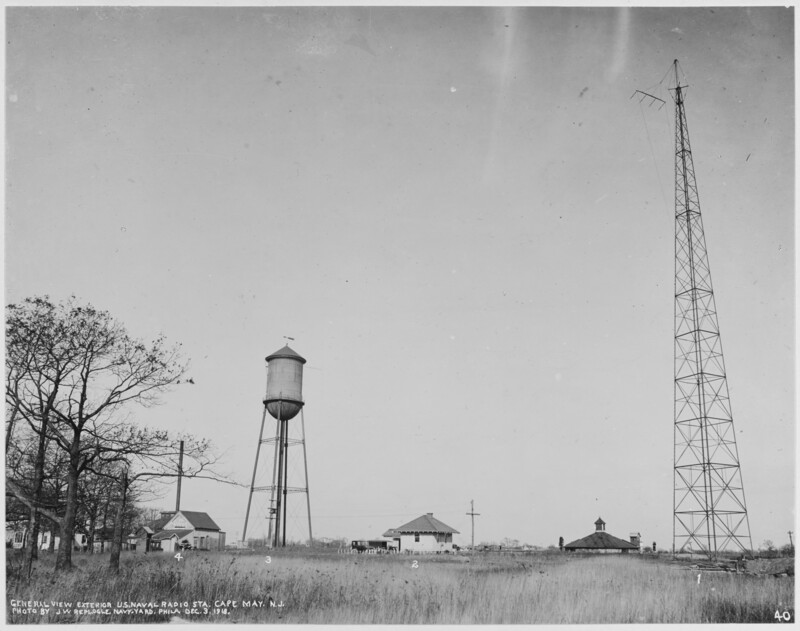 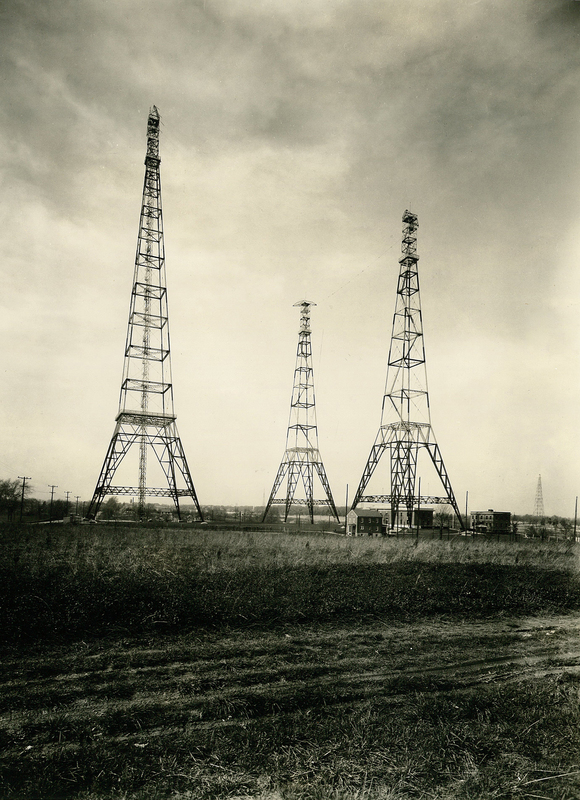 The facilities included transmitting stations located at New Brunswick, NJ (call letters WII, later NFF, 200 kW, 22.05 kHz), Tuckerton, NJ (call letters WGG, later NWW, 100kW, 18.85kHz), Sayville, Long Island, NY (call letters SLI, later NDD, 100 kW), and receiving stations at Belmar, NJ, Chatham, MA, and Bar Harbor, ME. 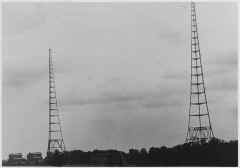 This system represented the most comprehensive assembly and centralized control of radio equipment accomplished up to that time. 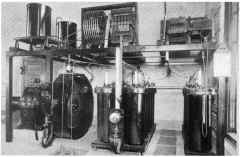 Through its use the principal functions of radio communication during World War 1, i.e., communication with European stations and broadcasts to ships in the Atlantic, were carried out. 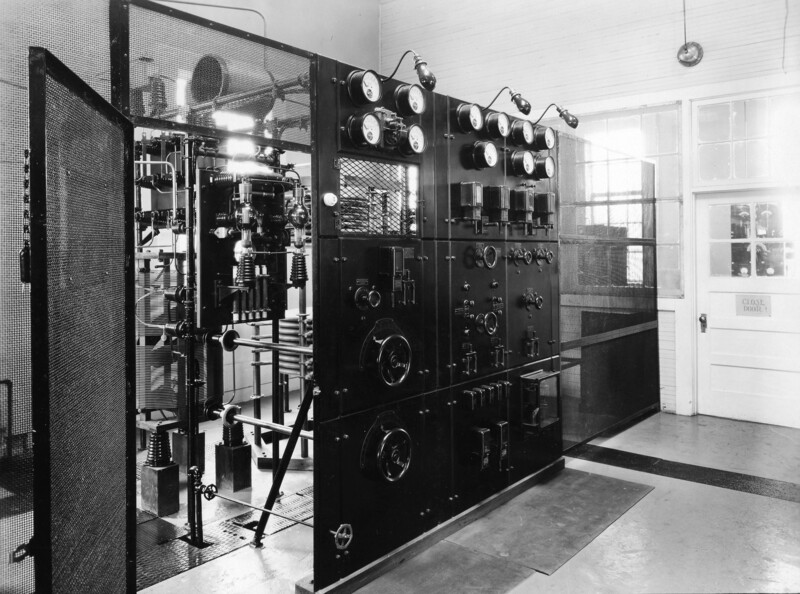 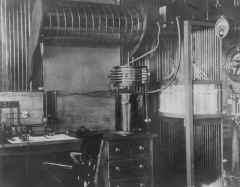 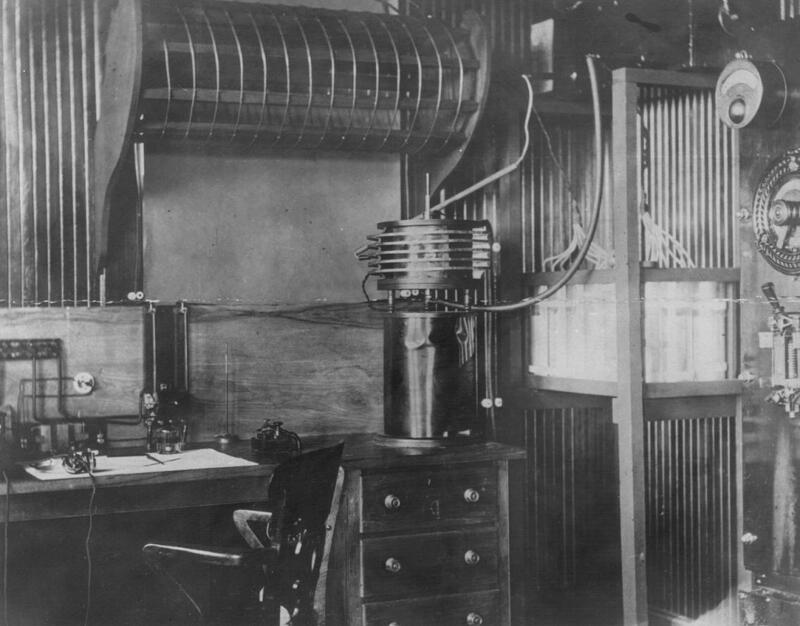 All World War I transatlantic radio communications were handled by this system, with Belmar as a relay center for messages to and from Washington via telegraph circuits. 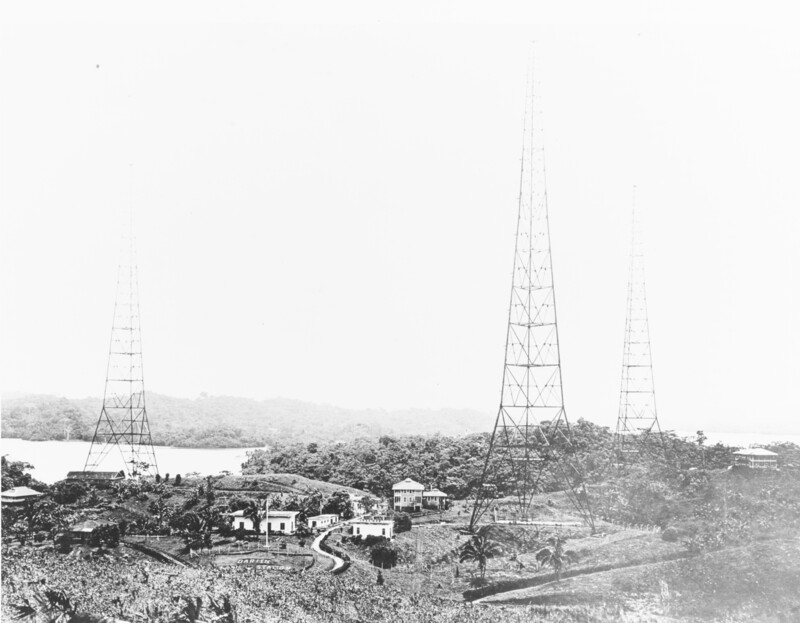 Communication was maintained with high-power foreign radio stations at Carnarvon, England (call letters MUU, 300 kW, 21.13 kHz), Lyons, France (call letters YN, 150 kW, 22.2 kHz), Nantes, France (call letters UA, 33.35 kHz), Stavanger, Norway (call letters LCM, 300 kW, 25.00 kHz), and Rome, Italy (call letters IDO, 350 kW, 28.57 kHz). 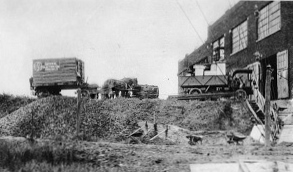 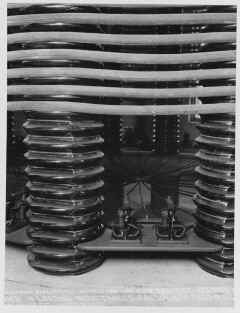 The German version of the war events, transmitted from the high-power station at Nauen, Germany (call letters POZ, 600 kW, 23.80 kHz) was monitored. 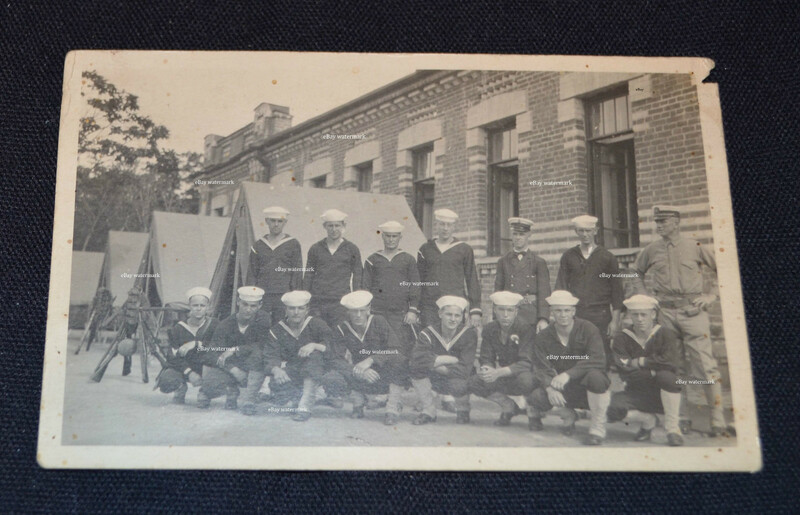 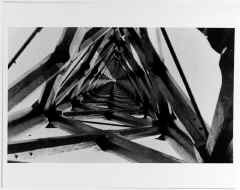 The messages leading to the armistice were interchanged directly with the Nauen station." 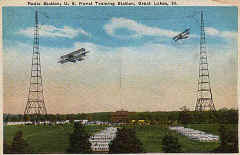 From USN History of Engineering Bureau in WW1 - "The experience of the summer of 1917 was sufficient to demonstrate that communication with European stations during the summer period was extremely precarious and inefficient, owing to the summer phenomena of weak signals accompanied by heavy strays (static). 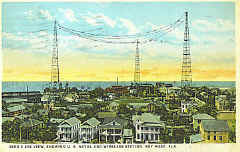 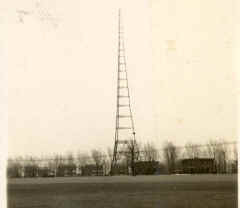 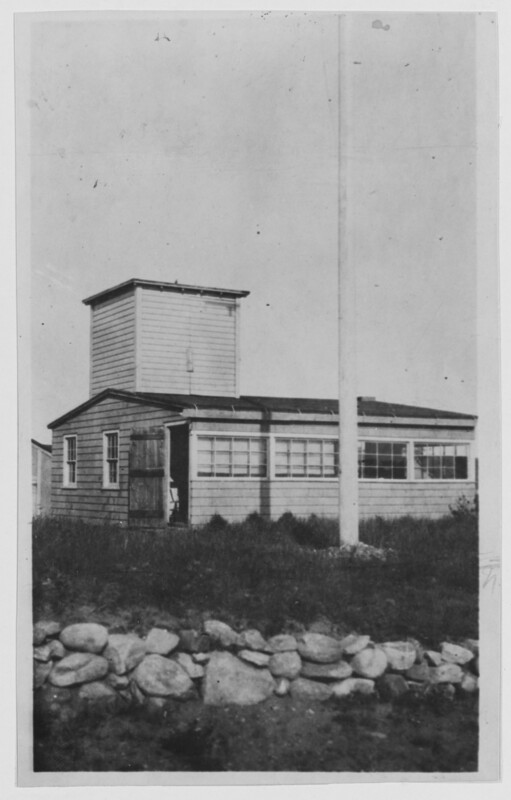 The successful development at Great Lakes of the reception of radio signals on the Rogers submarine and subterranean antenna system induced the Bureau to install this system at Belmar, N. J., the radio station at this place having been taken over in April from the Marconi company, but not operated. 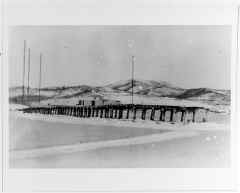 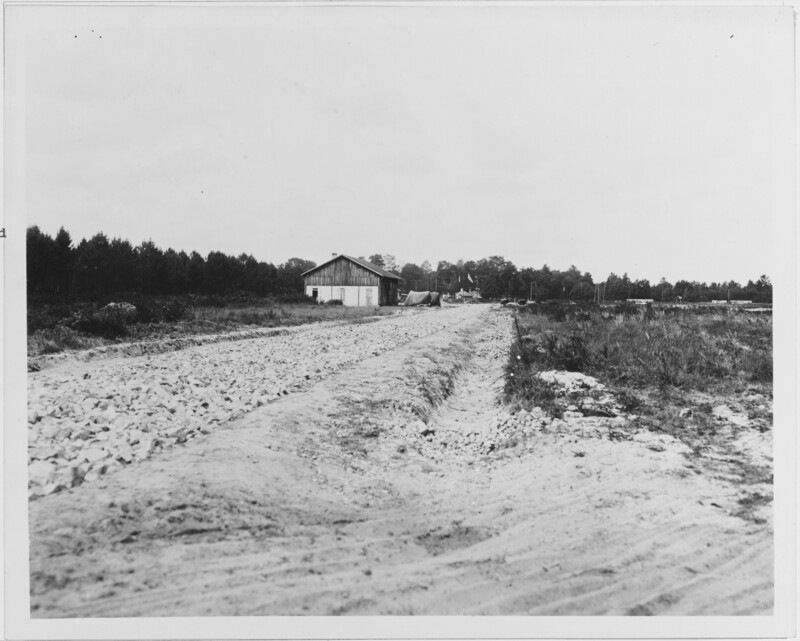 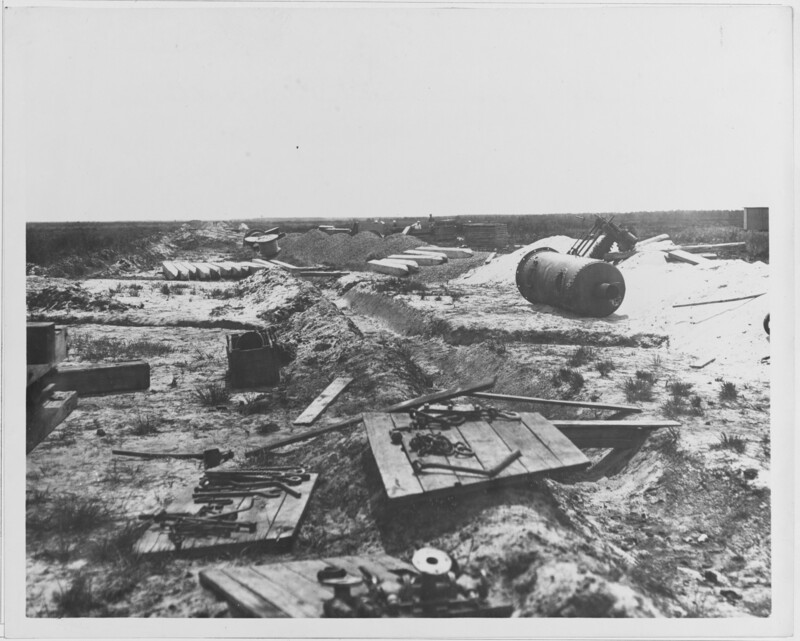 By the end of October, 1917, Belmar was receiving on submerged wires laid on the inlet and on a 2,000-foot long land wire buried 2 feet deep. 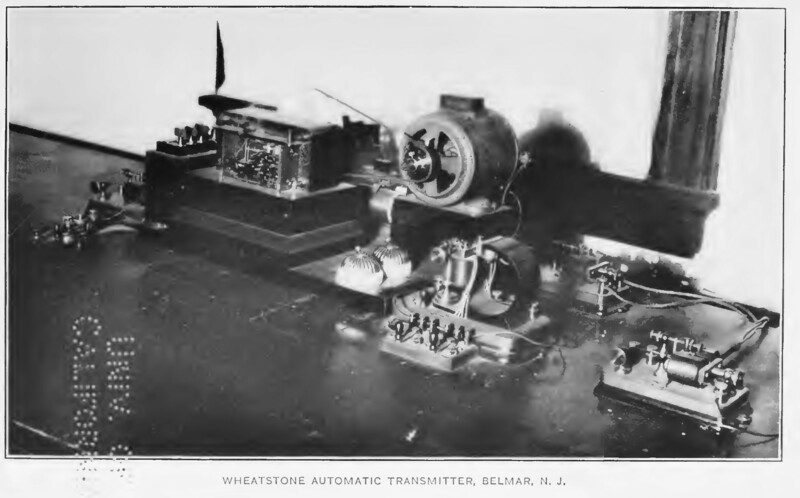 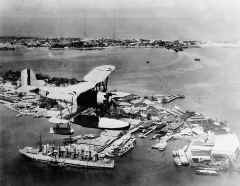 Belmar then became the control center for trans-Atlantic work." 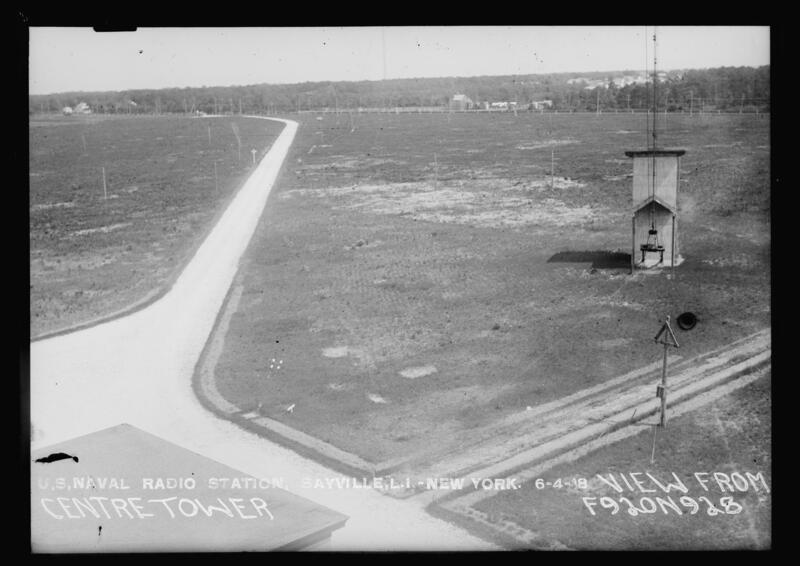 1918 Sayville - frequency-changer ?.